Faster than the Westway, fiercer than the M25, friendlier than the Road to Mandalay, this is Manchesters only city centre motorway, opened by the prime minister, Harold Wilson, in May 1967. Faster than the Westway, fiercer than the M25, friendlier than the Road to Mandalay, this is Manchester’s only city centre motorway, opened by the prime minister, Harold Wilson, in May 1967. 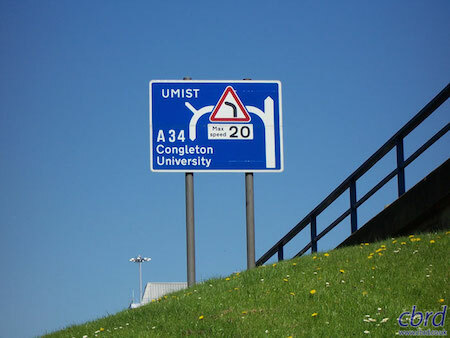 Officially the A57 (M), the Mancunian Way has long been shrouded in myth and secret, strange history. Why is there a stump leading off the outside lane by Upper Brook Street that just hangs in the air? Did the planners really believe the landscaped areas within the roundabouts would be used by residents for relaxation rather than be avoided by anyone sane for fear of being mugged? We will walk safely, away from the thunderous traffic, on a sojourn through the urban undergrowth to reveal the hidden history of the highway in the sky.